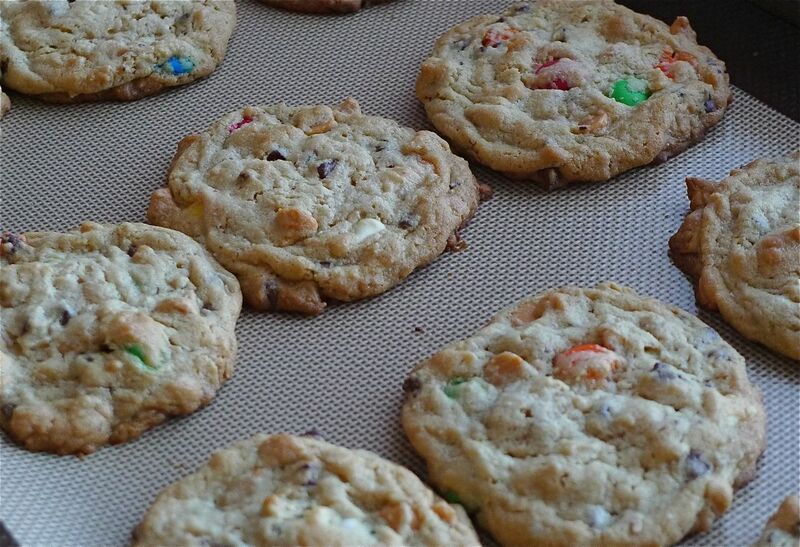 Healthier Cookies, Well not so much, but some healthy ingredients! In a large mixing bowl, cream butter, peanut butter and sugars. Add eggs, one at a time, beating well after each addition. 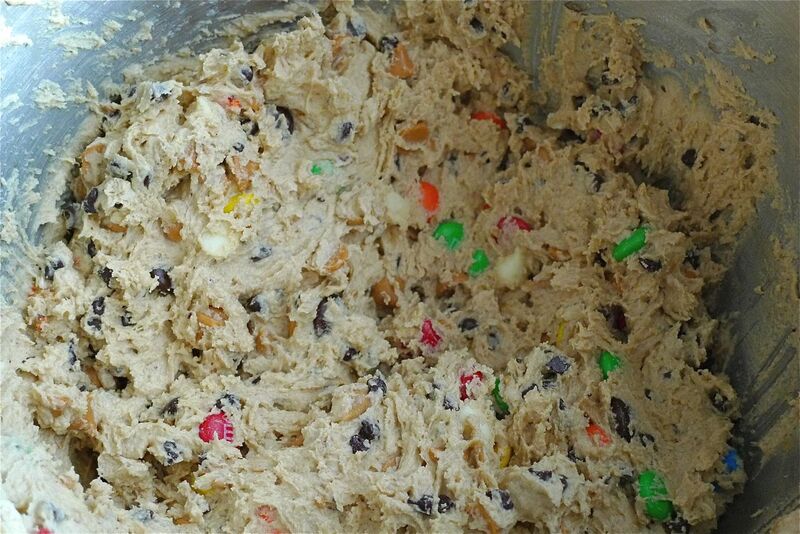 Beat in vanilla, combine flour, oats, flax, baking soda and salt; gradually add to the creamed mixture. Stir in chips, nuts, fruits etc… Drop by rounded tablespoon 2 inches apart onto ungreased baking sheets. Bake at 350′ for 10-12 minutes or until lightly browned. cool for 1 minute before removing to wire rack. Can you guess what 5 I chose?? ?